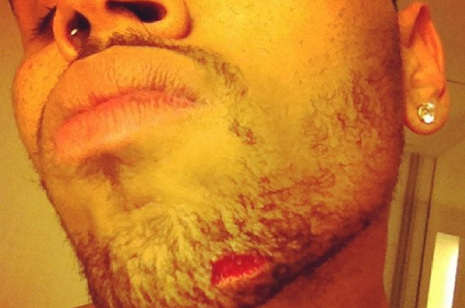 Moments after his fight last night with forces aligned with Drake, the singer Chris Brown raced to Twitter to distribute a photo of the damage he suffered during the bottle-tossing melee at a Manhattan nightclub. As seen above (click to enlarge), Brown’s injury left him with a boo-boo similar to those seen in shaving accidents. 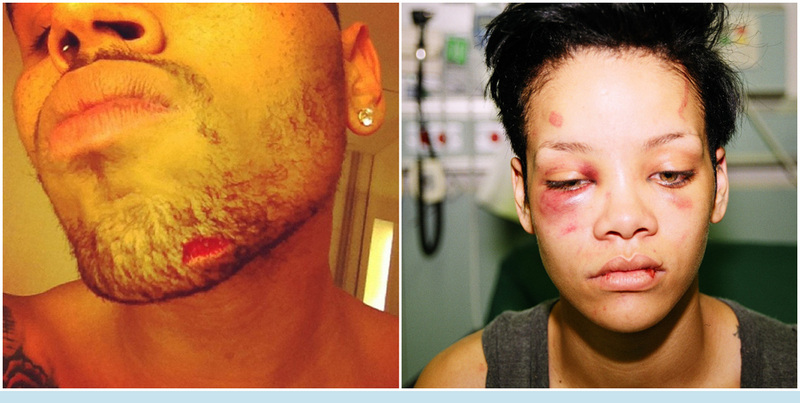 For comparison purposes, the damage Brown inflicted on ex-girlfriend Rihanna in February 2009 can also be seen above (click to enlarge) in a post-beating photo taken at a Los Angeles hospital in February 2009.